Modeled after the famous movie car. Car and wings are separate models. GrouchoCaesar (3 weeks ago) Inappropriate? zenobe (9 months ago) Inappropriate? druc1 (1 year ago) Inappropriate? Thank you Birdman. I love the movie, love the movie car, but also like to research. 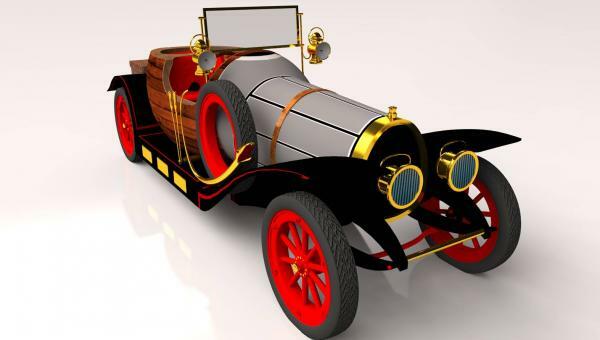 Check this Wiki https://en.wikipedia.org/wiki/Chitty_Bang_Bang I also have a book with more info on the originals and the link to Ian Flemming the writer of Chitty Chitty Bang Bang. Wo! I was hoping someone would get around to producing a free version of this car. That's osum! Also, did you know that the snake horn that is on this CHBB was also once on the Swan Car you also made a model of? Tjeb (1 year ago) Inappropriate? Does it come with Satnav ? rAcingmad (1 year ago) Inappropriate? Bang Bang Kitty Kitty Chang Chang, our fine four fendered friend! WandW (1 year ago) Inappropriate?